Our local farmer’s market is a family favorite. We love to go there Saturday mornings and enjoy breakfast and shop for anything exciting. This entry was posted in Recipe-less Ideas and tagged BB's BBQ, biscuits and gravy, crepes, kettle corn, Rio Bertolini, Rosso Trattoria, Soda City Farmer's Market on September 29, 2013 by Gretchen. I do so love cookies. There are so many choices these days and I like trying the new flavor combinations, but I always go back to the classics. 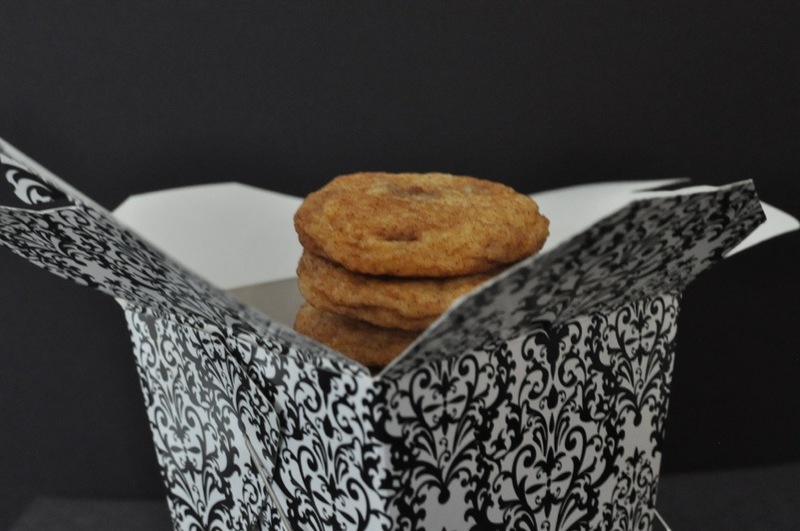 My favorites will remain chocolate chip, oatmeal raisin, snickerdoodle and these tasty oatmeal scotchies. 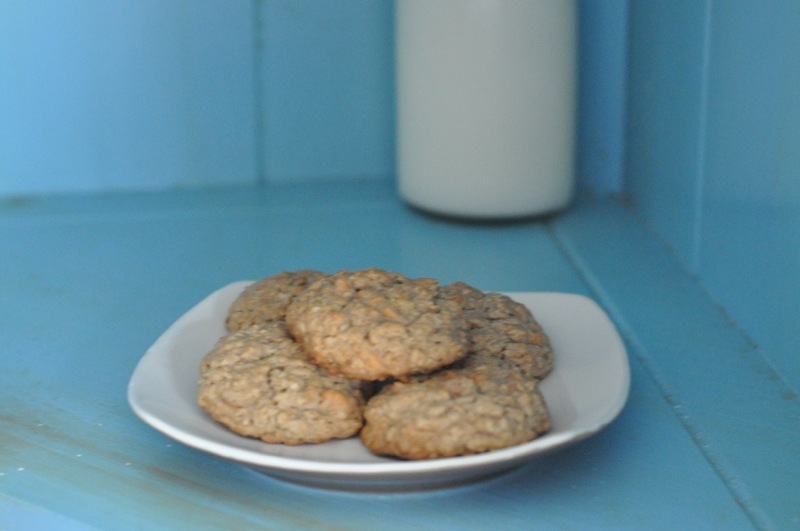 This entry was posted in Cookies and Bars and tagged butterscotch chips, classic, cookies on September 26, 2013 by Gretchen. Sunday our “baby”, ok more like youngest, turned three years old. Happy birthday to our autumnal equinox boy!! Sean had a fabulous day. He picked Krispy Kreme for breakfast. All the boys enjoyed a donut there. Then we went across the street to Dunkin Donuts so Daddy could have a breakfast sandwich. The boys had another donut. Really living it up on this birthday!!! Then we all headed to the zoo. It was an absolutely beautiful day. Sean enjoyed being king for the day. He got to lead the way and we all had to follow him. He enjoyed the power! Special time for the youngest who usually has no say. We saw all the animals, rode the train, tram and carousel and played in the botanical gardens. We had lunch at home. Watched Formula One. Squeezed in a nap for Sean and Ewan. Played outside. Sean picked out dinner. We had grilled sweet potatoes and squash and coconut mango mahi mahi he picked out at Whole Foods. Leftover cupcakes from the party for dessert. We even ate outside in the beautiful weather. 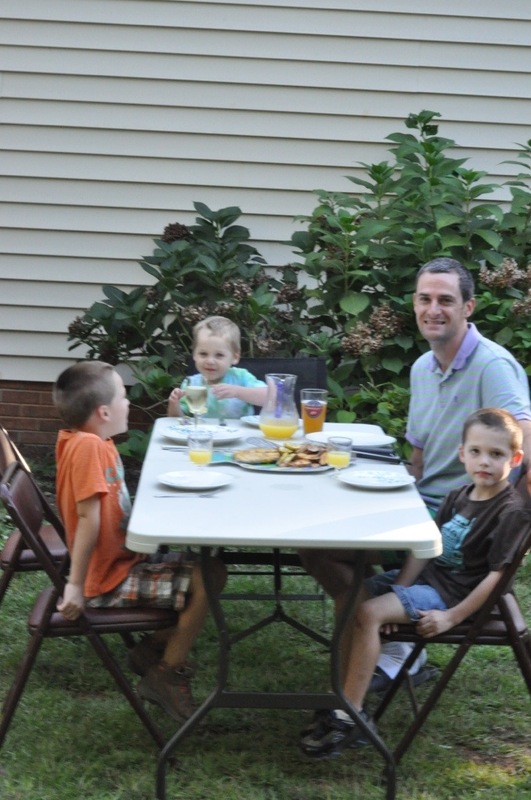 Someday we will have an outdoor dining area, until then we managed! 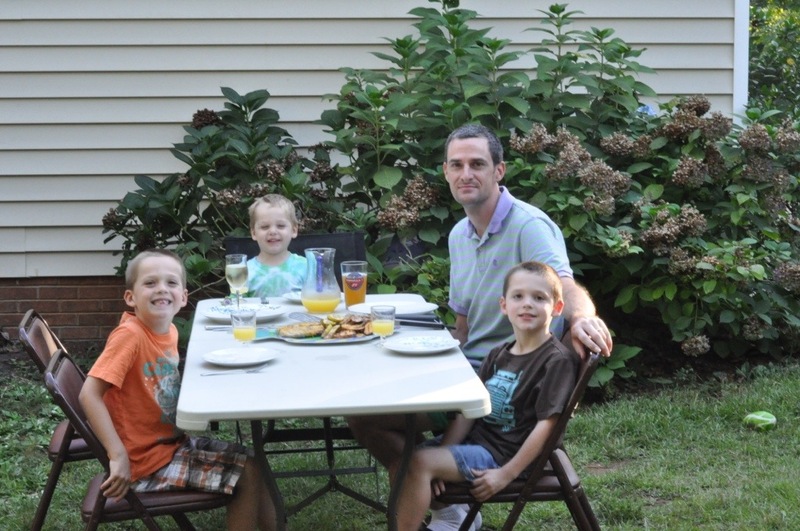 Here are also pictures from his party on our family blog, Dalrymple Clan Adventures. 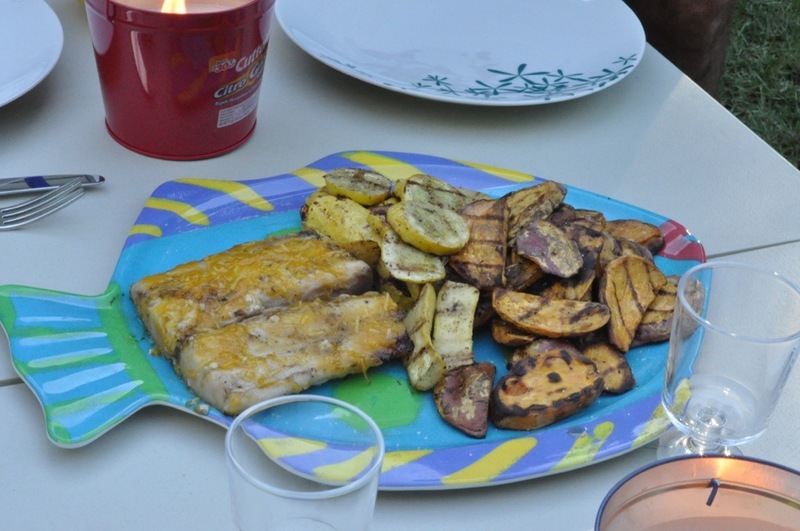 This entry was posted in Family Celebrations, Recipe-less Ideas and tagged chocolate cupcakes, grilled mango coconut mahi mahi, grilled squash, Grilled sweet potatoes on September 24, 2013 by Gretchen. Last year my family had a reunion in Oregon. My parents drove cross country with stops all along the way. While in Montana they stocked up on huckleberry jam and just a couple jars of white chocolate raspberry jam. I was so incredibly fortunate to get a jar of the raspberry jam. 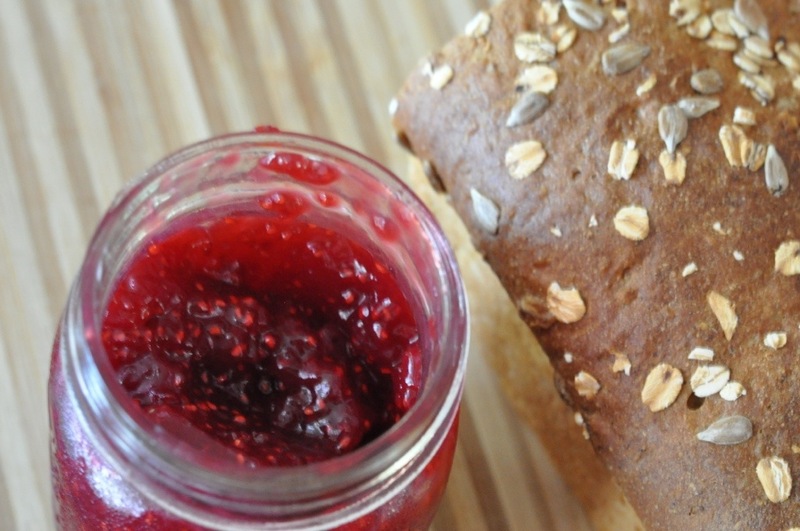 This entry was posted in Jams and Jellies and tagged canning, easy, Frangelico, gluten free, hazelnut, liqueur, preserves, Spread, vegetarian on September 22, 2013 by Gretchen. 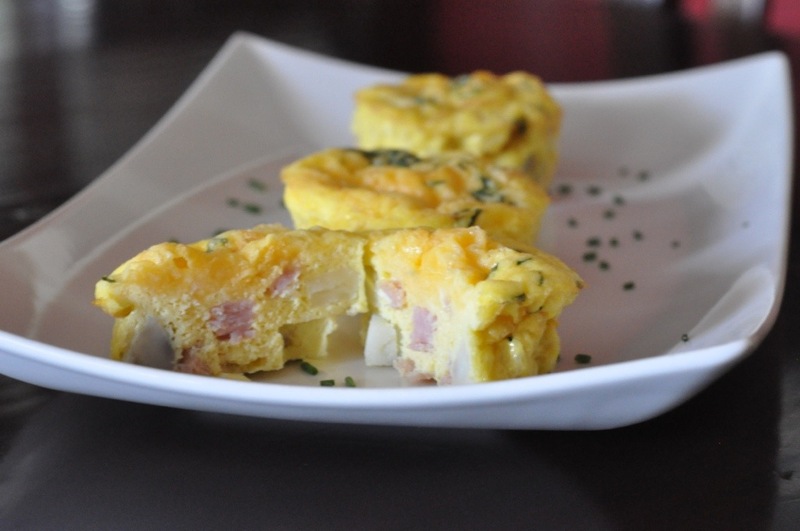 This entry was posted in Breakfast and tagged breakfast, brunch, easy, Frittata, gluten free on September 16, 2013 by Gretchen. 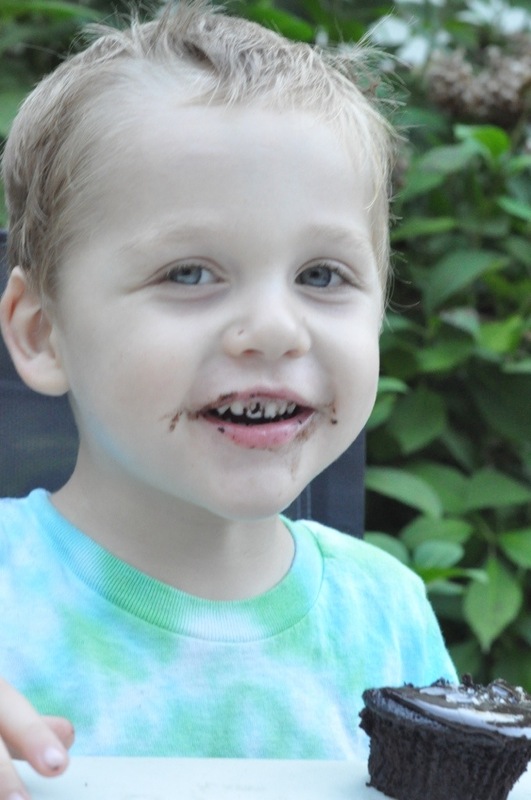 This entry was posted in Dessert and tagged Cinnamon chips, cookies on September 12, 2013 by Gretchen. There will be no recipe this post. No pretty pictures. 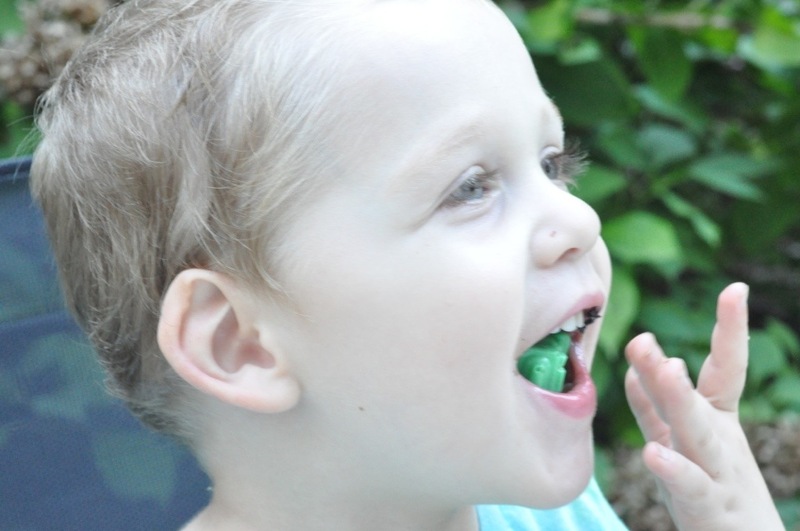 Why….well because I have three boys who are extremely ornery! The other day I made cranberry pumpkin cream cheese muffins. The previous time I made them I slightly over baked them. This time I tweaked the recipe and was happy with the results. I let each of the boys have a muffin for a snack after school. I had one too. I was going to photograph them later. The kids had other plans…..Sean emptied his top dresser drawer upstairs. Pajamas, socks and underwear all over! I went up to clean the mess, he is useless at putting it away properly. I went downstairs to find Jack and Ewan on the floor under the dining room table….eating muffins! Not only were they eating muffins I needed to photograph, they were getting crumbs all over a floor I mopped that morning! 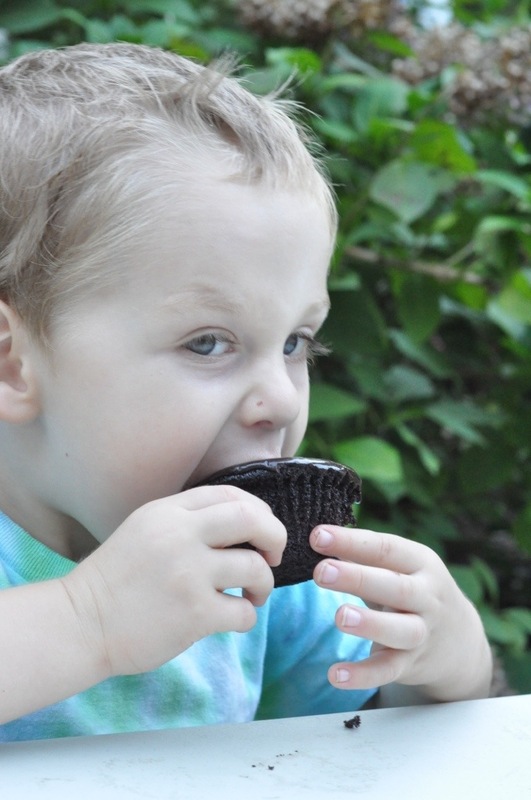 I caught them just after they started the muffins….to find out they already each shoveled one in their mouths!!! So for snack that day they had the muffin I gave them, a cheese stick, applesauce, an apple and nearly two more muffins. I hope to post the recipe soon, if I make them and photograph them while the boys are in school! 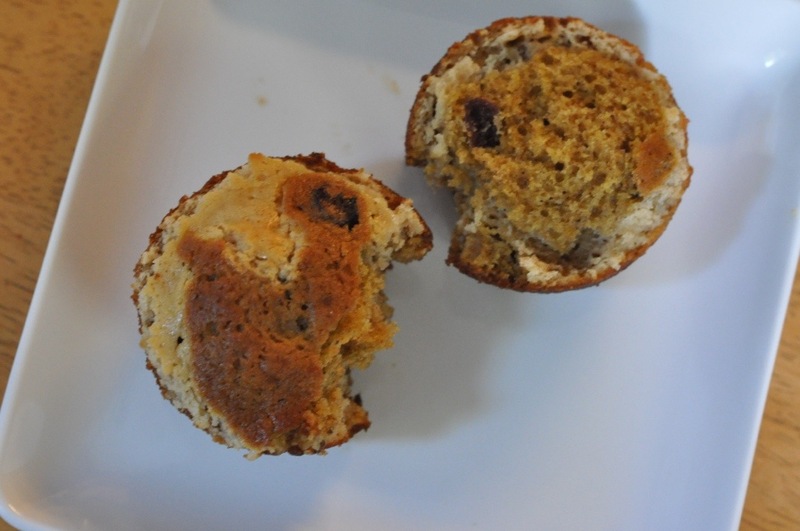 Here is the evidence….what is left from their second stolen muffins. If I wasn’t so upset with them I would have gotten a picture of them huddled under the table eating like animals! 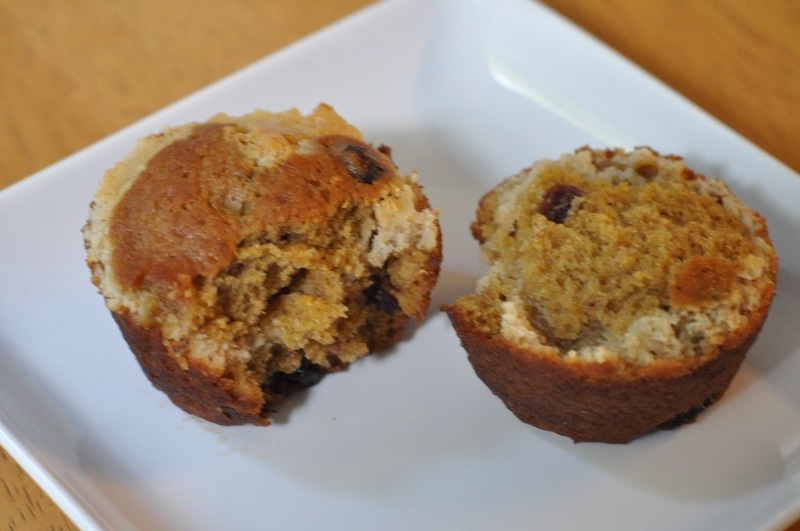 This entry was posted in Muffins and Quick Breads, Uncategorized and tagged cranberry pumpkin cream cheese muffins, Trouble on September 7, 2013 by Gretchen.